ASTANA. KAZINFORM A presentation of the second volume of Brands of Kazakhstan book has taken place in Astana, Kazinform reports. 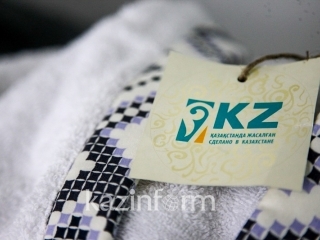 It features the leading Kazakhstan's brands and companies working in various economic sectors of the country. Besides, it contains information concerning large enterprises and representatives of small and medium-sized business. The book authors position Kazakhstan as an organic grower and hope that the book will help gain visibility of the country's brands. The book published in Russian and English is disseminated worldwide. The part of the books were presented to the libraries of Kazakhstan, Russia, Belarus and other CIS nations and countries of the world, the country's embassies and consulates abroad and chambers of commerce and industry of foreign states. The first volume was issued in 2016.